Joshua is one of my favorite Bible heroes. He was a great servant to Moses. He refused to be swayed by his peers or by the crowd when he spied out the Promised Land. He followed in the footsteps of a great leader and was a great leader himself — not an easy task! Joshua was vigorous and vital even in his old age. 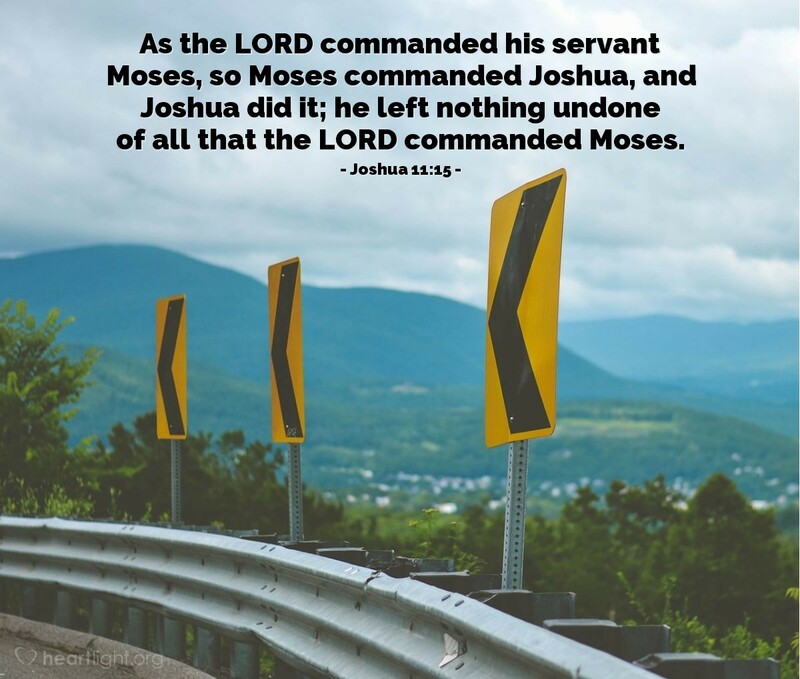 Most of all, Joshua was obedient to God and did everything that God had commanded him to do, as well as what God had commanded Moses that he should do. In other words, Joshua was faithful! O LORD God, my Abba Father, when the story of my life is told, may I be viewed as one who was faithful to all that you have asked of me. I want to serve you with an undivided heart and a life that brings you the glory and praise you deserve for your generous grace. In Jesus' name I pray. Amen.